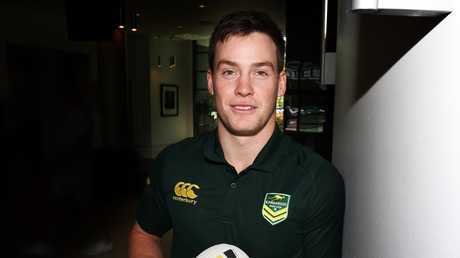 LATE call-up Luke Keary says he is not expecting to nail down the Kangaroos No.6 jersey in Cameron Munster's absence. Sydney Roosters' NRL grand final hero Keary will make his international debut in Australia's Tests against New Zealand on Saturday and Tonga on October 20 after playmaker Munster pulled out due to personal reasons. Keary is full of confidence after earning the Clive Churchill Medal for steering the Roosters to NRL premiership success, with Cooper Cronk restricted by a broken shoulder blade. But the livewire playmaker is not getting ahead of himself after earning his Test cap before a NSW State of Origin debut. Keary balked when asked if he would try and make the Kangaroos five-eight spot his own with Munster sidelined. "There are a couple of boys there like Cam (ahead of me)," he said. "All I can do is play my best footy this week and see what happens the week after. "It is obviously not a great situation to be called up like this but it's exciting for me but obviously we still have him (Munster) in our thoughts." Keary was originally named as an extra player in the Kangaroos squad as cover for Munster in case the Melbourne pivot was suspended for kicking Joseph Manu in the Tri-Colours' 21-6 grand final win. Munster escaped suspension but was fined $1400 by the match review committee over the incident. He withdrew from the squad on Sunday night. 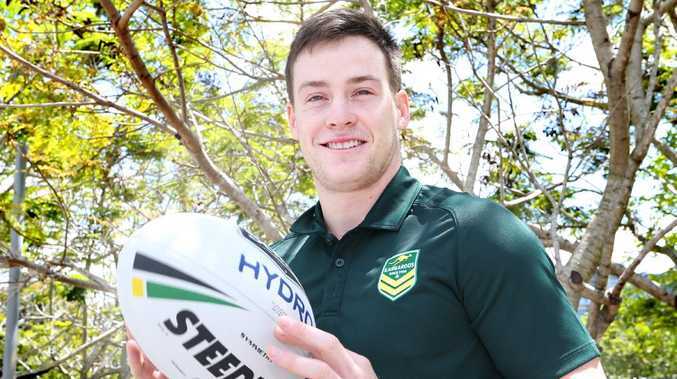 "This is obviously a different arena, but I thought I strung together a few good (NRL) games (for Roosters) at the end of the year," Keary said. "I feel like I understand my game a lot better now. I know what I have got to do. "And if something like this happens then you grab it. Whether it is Tests or Origin, you just grab it." The Kangaroos have assembled in Brisbane before flying out to Auckland on Tuesday.